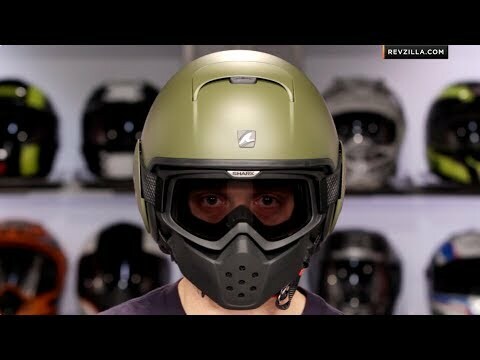 If you always wanted to be a fighter pilot but riding motorcycles is as close as you got, the Shark Drak Helmet is here to let you live out your fantasy. Formerly known as the Shark Raw Helmet, the aviator-inspired design combines a 3/4 thermoplastic shell with off-road style goggles and a mean-looking face mask to create a helmet perfect for tearing up the streets in whatever urban jungle you call home. 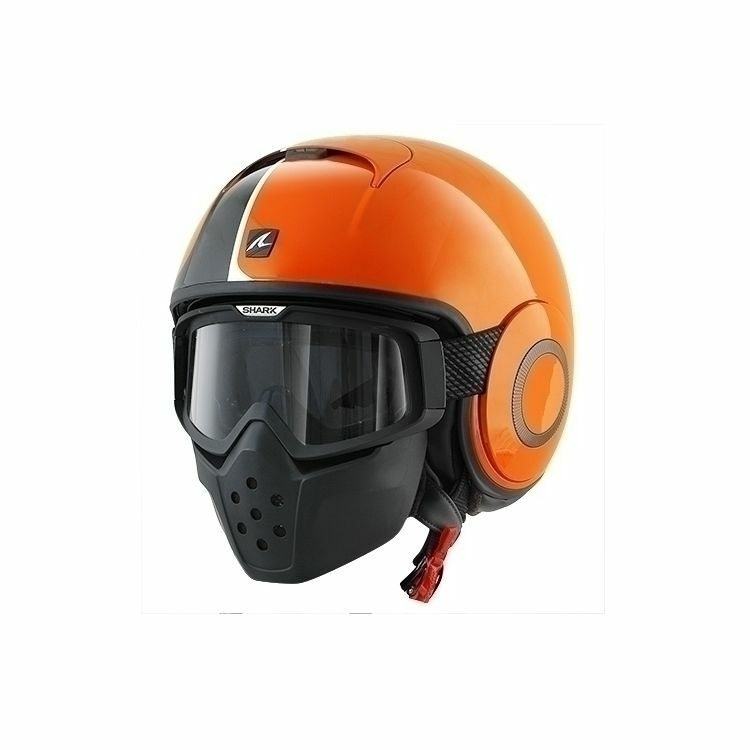 The sweat-wicking liner and ventilation system keeps even the hottest heads cool and, while the plastic face mask does not provide impact protection, it does do a handy job of keeping bugs and road debris out of your mouth. Regardless of what you're riding, the Drak is a helmet for those who aren't afraid to stand out from the pack. Ride apart, ride Drak. Note: Helmet features a D-ring closure, not the micro-ratchet as shown.